New, high-precision distance measurements by the National Science Foundation's Very Long Baseline Array (VLBA) radio telescope are providing a major advance for astronomers trying to understand how stars form. "A large improvement in measuring the distance to a young, still-forming star means a large improvement in measuring characteristics such as its mass and intrinsic brightness," said Laurent Loinard, of the National University of Mexico (UNAM). Loinard, Amy Mioduszewski of the National Radio Astronomy Observatory, UNAM graduate student Rosa Torres and UNAM professor Luis Rodriguez presented their findings to the American Astronomical Society's meeting in Seattle, Washington. "Most of what we know about the processes of star formation has come from studying young stars in a few, relatively nearby regions," Loinard said. "However, estimates of the distance to these regions have been imprecise. That imprecision has limited the ability of real-world observations to improve theoretical models for star formation," he added. The new VLBA distance measurements are great improvements over earlier estimates. For example, earlier work placed a famous young stellar system in the constellation Taurus between 423 and 489 light-years from Earth. 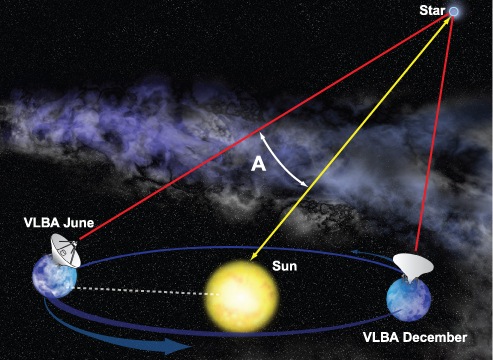 The new VLBA measurements narrow the range to 418-422 light-years. "Our observations brought the error in this measurement down from 66 light-years to four," Mioduszewski said. The new VLBA observations also refined the distance estimate to another star-forming region in the constellation Ophiuchus. The new results are part of a long-term project led by Loinard and Mioduszewski to make precise distance measurements to individual young stars within well-studied regions of prolific star formation. They do this by measuring the tiny apparent shift of the star's position against the background sky caused by Earth's rotation around the Sun. This method, called trigonometric parallax, produces a direct, unambiguous measurement of the star's distance. "The VLBA is the only instrument in the world that can do this on these objects," Loinard explained. This is because the visible light from young stars is dimmed by the cloud of gas and dust from which they are being formed. In addition, young stars also are often surrounded by material that obscures their visible light. This means that even the Hipparcos satellite, which measured distances of more than 100,000 stars, was handicapped when it came to young stars. 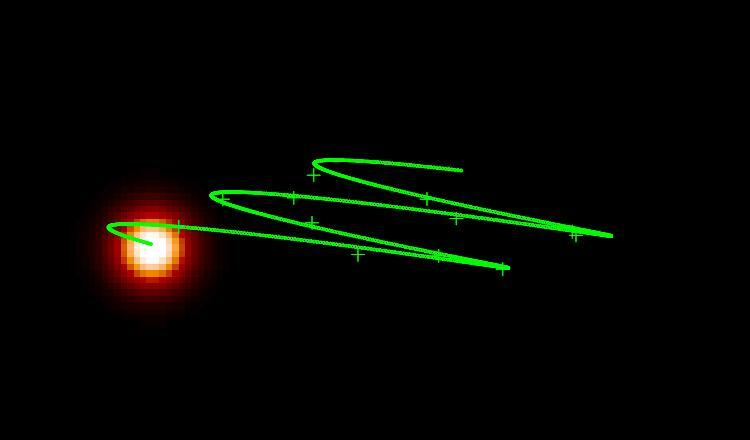 However, processes occurring in the magnetic fields of newly-formed stars often produce bright radio emission that the VLBA can detect readily. The scientific payoff is great. 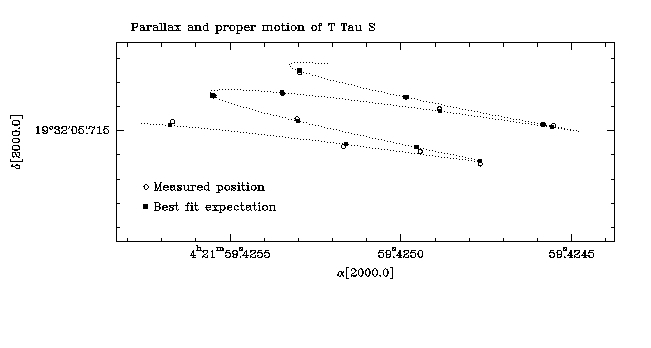 The improved distance measurements allow better determinations of the young stars' physical characteristics. By measuring distances to multiple stars in a star-forming region, the astronomers can build a three-dimensional picture of the region. Observing the stars over a period of years will allow the scientists to determine their speeds and motions. "All this new information about the stars and the environment in which they are formed will greatly improve our ability to understand such regions and the processes that turn clouds of gas and dust into stars," said Mioduszewski. The results the astronomers announced in Seattle are just the beginning of their project, they said. They intend to use the VLBA to study additional star-forming regions in addition to more stars within the regions already studied. "By carefully building up well-measured, three-dimensional pictures of several star-forming regions, as well as learning about the motions of stars within those regions, we expect that we'll find some surprises that revise our understanding of the all-important process of star formation," Loinard said.